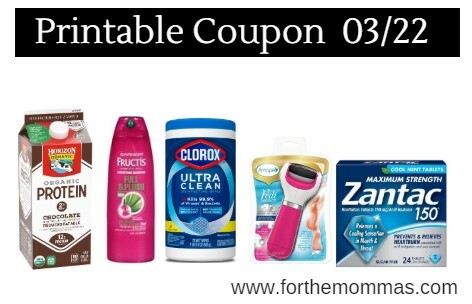 Here is a roundup of the Newest Printable Coupons of the day. Save up to $17 with these latest coupons that include brands like Horizon, McCormick, Clorox, Zantac, Pedi Perfect, Listerine, Garnier & More. All these coupons are preclipped for you.